College of Pharmacy faculty members contribute to local hospitals, clinics and several community settings through substantial clinical practice. St. Ann’s is home to a fully integrated cardiovascular center, a Primary Stroke Center, a dedicated Women’s Health Center, a Maternity Pavilion, a Network Cancer Program, and a Cyberknife® robotic radiosurgery center. College of Pharmacy faculty member, Dr. Cari Brackett teaches and practices with the St. Ann’s Family Medicine Residency program. Through her practice, Dr. Brackett teaches a evidence-based pharmacotherapy rotation for the resident physicians. 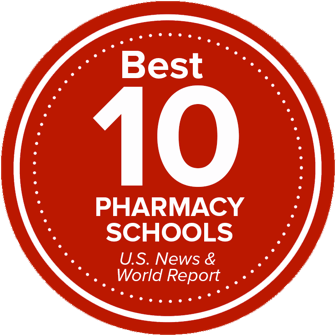 The site also provides a unique, interprofessional experience for PharmD students on rotation from the College of Pharmacy. Located within the Nationwide Children's Hospital network, the Orange Pharmacy, Blue Pharmacy and Yellow Pharmacy prepare and dispense prescriptions for patients, hospital employees and medical staff. Specialized dispensing services include compounding medications for pediatric use, reviewing patients’ medication profiles and providing medication counseling for all patients with the use of easy-to-understand pictograms as part of the new Pediatric Health Literacy Program. The site has a residency program with a practice residency and a residency with an emphasis in community care. The College of Pharmacy and OUHCOM/CHP collaborate to provide free or reduced primary health care to children and adults living in Southeast Ohio. The program is led by Sarah Adkins, Clinical Pharmacist - Pharmacy Practice and Science, and full-time, on-site pharmacist in Athens, Ohio. This partnership enhances the interprofessional environment at OUHCOM and also provides multiple APPE rotations for PharmD candidates. During these rotations students have the opportunity to practice in a rural, underserved community and are exposed to the many challenges of patient care in Appalachia. Pharmacy students learn about medication selection, counseling patients on medication adherence and addressing drug misuse or abuse in an interdisciplinary environment. Primary One Health (P1H) is a federally qualified health center and is recognized as a National Committee for Quality Assurance (NCQA) tier 3 patient centered-medical home. P1H has eleven locations throughout Columbus, all located within culturally and economically diverse neighborhoods. Patients at P1H have access to primary healthcare, dental and vision services, nutrition planning, diabetes education, and other specialty medical services for the entire family. Pharmacists at this site interact with physicians, nurse practitioners, social workers, dieticians, and other members of the health care team on a daily basis. At P1H, pharmacists care for culturally diverse and underserved patients, including working with interpreters, aiding with medication assistance programs, and facilitating 340b participation. Pharmacists also work with patients and providers to design therapeutic treatment plans for the management of chronic diseases such as diabetes, hyperlipidemia, hypertension, chronic obstructive pulmonary disease, tobacco use, and more. Pharmacists are valued for their contributions in answering medication-related questions and educating providers and health center staff on medication-related topics. In addition to providing direct patient care, pharmacists engage in practice management activities, including participating in monthly pharmacy team meetings and assisting with ongoing projects and new service development. The Charitable Pharmacy of Central Ohio (CPCO) and the College of Pharmacy share a unique partnership that benefits both patients and students immensely. CPCO, located in the United Methodist Church on Livingston Avenue, provides free medications and pharmacy services for vulnerable patients in the community living at or below 200% of the federal poverty level. The pharmacy serves more than 60 patients a day, with the average patient receiving seven prescription medications per month. Four to five advanced pharmacy practice experience (APPE) students from Ohio State provide care to patients each month with supervision from the pharmacy practitioners and the PGY1 community pharmacy residents. Dr. Jennifer Seifert, Community Pharmacy Residency Program Director, serves as the Executive Director for CPCO. Dr. Kristin Casper, Associate Professor of Clinical Pharmacy, is a shared faculty member with CPCO. The College of Pharmacy and CPCO work together to advance pharmacy practice for uninsured and underinsured patients in the community by providing comprehensive patient care in an environment that provides students with the opportunity to recognize barriers to care and work with patients to help them gain access to life-saving medications. The Ohio State General Internal Medicine Clinics are a network of six National Committee for Quality Assurance (NCQA) tier three patient centered-medical homes and the primary outpatient sites for the nationally-recognized Ohio State Internal Medicine Residency program. At this practice site, an interdisciplinary team provides individualized care, goal setting and disease education to patients with poorly controlled diabetes. Pharmacists follow up between clinic visits to titrate medications and assess patient progress toward goals. Additionally, pharmacists at the Ohio State General Internal Medicine clinics provide timely care for patients during transitions of care, complete comprehensive medication reviews through the OutcomesMTM platform, and participates in population health initiatives. College of Pharmacy faculty member, Dr. Jim McAuley practices at the Department of Neurology, specifically within the Comprehensive Epilepsy Center. Ohio State is designated a level 4 epilepsy center, the highest rating of the National Association of Epilepsy Centers, for the advanced level of their medical and surgical epilepsy care. The center includes physicians board certified in epilepsy, clinical neurophysiology or both, full-time EEG technologists, a dedicated epilepsy nurse practitioner and a pharmacist (Dr. McAuley) specializing in epilepsy drug treatments. Part of The Ohio State University Wexner Medical Center (OSUWMC), the Ross ACC serves patients in the Columbus and greater Ohio communities. The department of pharmacy delivers patient care in interdisciplinary and collaborative, pharmacist-led models. Services include anticoagulation management, antiarrhythmic medications, and the cardiac risk reduction clinics (CRR clinics) including lipid management and smoking cessation clinics. OSUWMC ambulatory pharmacist specialists and College of Pharmacy faculty practitioners collaborate with cardiologist physicians for CRR services. The Ross Anticoagulation Management Service is an Anticoagulation Center of Excellence. Designation of the Anticoagulation Forum which indicates adherence to an educational program which promotes best anticoagulation practices with emphasis on patient safety.